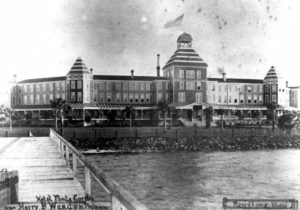 We’ve come a long way, Punta Gorda, since 1887. Let’s celebrate our founding and future December 1st through 7th. During the first week of December, almost 130 years ago, a group of settlers from the new town of Trabue met in a billiards parlor near the corner of Olympia and Taylor and voted to incorporate their town into a city, renaming it Punta Gorda. To honor those early founders and all who have followed them with the goal of making Punta Gorda a better and better community since that week in 1887, the Punta Gorda Founders Day Week is celebrated during the first week of December. The events lead up to December 7, the official date of the City’s incorporation. This year’s celebration will be full of fun and educational events, and will take place December 1 through the 7th. Both Christmas Holiday and history-related events will take place, several of which are recurring annual festivities, now a part of our annual Founders’ Day Week Celebration. Most events will benefit non-profit organizations in the Punta Gorda area. Contact: Gene Murtha (941) 258-2080. Where: Charlotte County Historic Courthouse, 226 Taylor St. When: Saturday, December 1, 2018 – December 7, 2018, M-F 9-4 p.m., Saturday, 10-2 p.m.
Where: Tours start at Kays, Ponger & Uselton, 635 E. Marion Av.